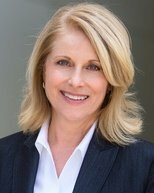 When it rears its ugly head, and it eventually will for most parents, the issue of teens and alcohol abuse tests even the most level-headed parents. It can seem that whatever you do, you cannot stop your child from experimenting with alcohol. There are many who say that abusing alcohol is just an adolescent phase that teenagers grow out of and, to a certain extent they are right. However, a minority of teens who abuse alcohol will not just grow out of it, they will go on to develop alcohol dependency. In fact research has shown that teens who use/abuse alcohol before the age of 15 are FOUR TIMES more likely to go on to develop problems with alcohol than those who put off their first drink until after the age of 20. It is imperative, then, that parents do all they can to discourage their teenagers from abusing alcohol. This page has been written for all those who are concerned about the issue of teen alcohol abuse and wish to know more about it. If you look at the resources below, you will find links to various articles on teen alcohol abuse. Please scroll down and click on any link you find of interest. As always, if you have any questions please go to our Alcoholism Questions page. It can be very difficult to decide whether the behavior of your teenager is merely a sign of adolescence or a symptoms that he or she may be drinking. Read Adolescent Alcohol Abuse: The Signs, to find out how to identify if your teen is drinking. The NIAAA has devised a self-diagnostic test that can calculate whether a teenager is 'merely' experimenting with alcohol, has a drinking problem or is suffering from full-blown alcohol dependency. Complete this test at Teenage Alcoholism Test. Drunk driving accidents kill countless young people year after year. It is only with education and information that teens will understand the consequences of drinking and driving. For tips on how to prevent adolescents from drinking and driving, read Teens And Drunk Driving. Teenage alcoholism and teenage alcohol abuse are not the same thing. Teenage alcohol abuse, though, can lead to alcoholism (in a minority of cases). The main difference between the two is that alcoholism is a physical dependence on alcohol, that is the alcoholic suffers from withdrawal if he or she is denied alcohol. Read Teen Alcoholism to learn more about the causes, effects and treatment options for teen alcoholism. There are ways to prevent your child engaging in alcohol abuse at college. It is just a matter of doing your research and having the right strategies in place. Read alcohol abuse in college to learn how. Treatment centers for adolescents are relatively rare because, fortunately, there are not that many teens who suffer from alcohol dependency. However, teens are still referred to adult alcohol dependency treatment centers on a regular basis. This is entirely inappropriate. Teens have very different needs from adults and need a very different treatment regimen from that provided for adults. Read Treating Alcoholism In Teens to discover why teens need tailored alcohol dependency treatment. Alcohol dependency is not a common condition among adolescents, what is seen a lot, however, is binge drinking. Many view binge drinking as an inevitable part of growing up, a kind of rite of passage. This may well be, but binge drinking impacts on adolescents in a myriad of ways and can, if allowed to, lead to alcohol dependence in later life. Read Teenage Binge Drinking to learn more. Knowing the facts about teenage drinking is essential if you are to prevent your child(ren) picking up that first drink. Read Teenage Drinking Facts to learn more about teen alcohol abuse and why teens drink. Teens are regularly referred to Alcoholics Anonymous meetings by those in authority. 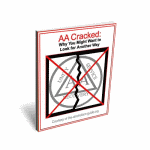 This is despite the fact that AA is both ineffective and dangerous for adolescents. 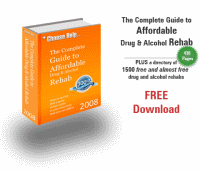 Read Teen Alcohol Treatment - Avoiding AA to discover why AA is bad for teenagers. Although drinking may seem fun to many teenagers, its effects on them and their lives can be devastating. The health problems caused by alcohol abuse are well-documented, but it is the social and psychological consequences that impact on the young first. Read Effects Of Teenage Alcohol Abuse to learn more about the consequences of teen alcohol abuse. There is a belief among many that it is inevitable that teens will abuse alcohol and that there is little parents, or adults for that matter, can do about it. Although there is an element of truth in this, there are a number of strategies a parent can adopt to reduce the likelihood of their child abusing alcohol. Read Preventing Alcohol Abuse In Teens to get strategies and advice on bringing up children who don't want to abuse alcohol.